Jockey Tommy Berry has teamed up with trainer Chris Waller to win the City Tattersalls Club Cup. Exoteric has dispelled doubts about his staying ability with a strong win over 2400 metres in the City Tattersalls Club Cup at Randwick. The lesser fancied of trainer Chris Waller’s runners in Saturday’s Listed race, Exoteric was still well supported from $5 to $3.90 with stablemate and fellow import High Bridge the $2.90 favourite courtesy of his superior form over long distances. Winner of the Port Macquarie Cup (2020m) at his previous start, Exoteric settled midfield with St Leger winner Big Blue and Cosmologist a long way in front of the field for much of the race. 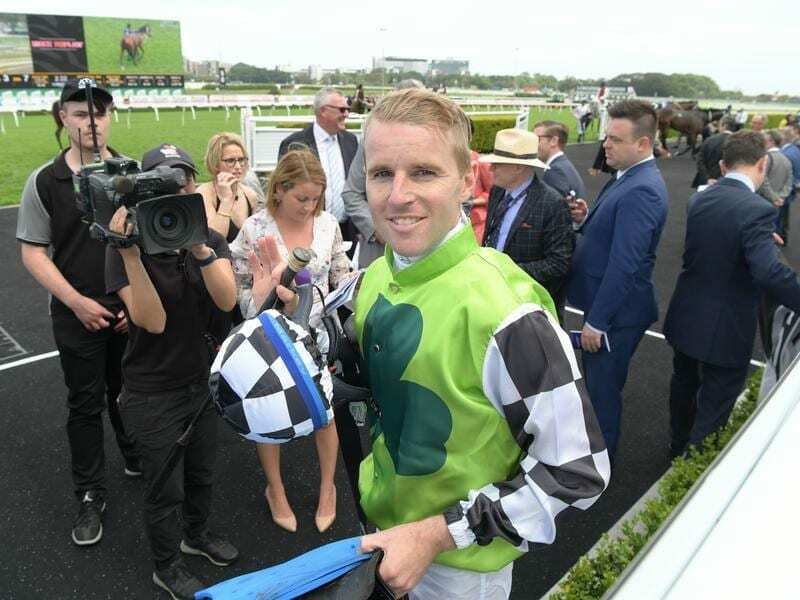 Tommy Berry kept Exoteric comfortable and timed his run to coincide with the weakening leaders and the horse went on to beat Social Element ($26) by a length with another 1-1/4 lengths to last year’s winner, veteran Destiny’s Kiss ($16). High Bridge failed to pick up in the final stages and finished seventh, more than 10 lengths from the winner. “He came to the race fit and sound but he is a quirky horse and Tommy knows him well,” Waller’s racing manager Charlie Duckworth said. “He executed the race perfectly. It was a staying contest and I was surprised when the punters came for him and not our other horse. Originally trained in England where he won three races for Charlie Hills, Exoteric spent time in Waller’s Sydney stable before being sent to the trainer’s Gold Coast base. He came back to finish a fair third in a 2400m benchmark race in August before again going back to Queensland. Saturday’s race was his first attempt at stakes level and his eighth win from 28 starts.